Based on field work conducted in October 2014, this historic property retains its relationship to the streetscape, historic building form and a sufficient amount of exterior historic building fabric (design features, cladding and/or window sash/openings) to contribute to the distinct character of the University Park neighborhood. 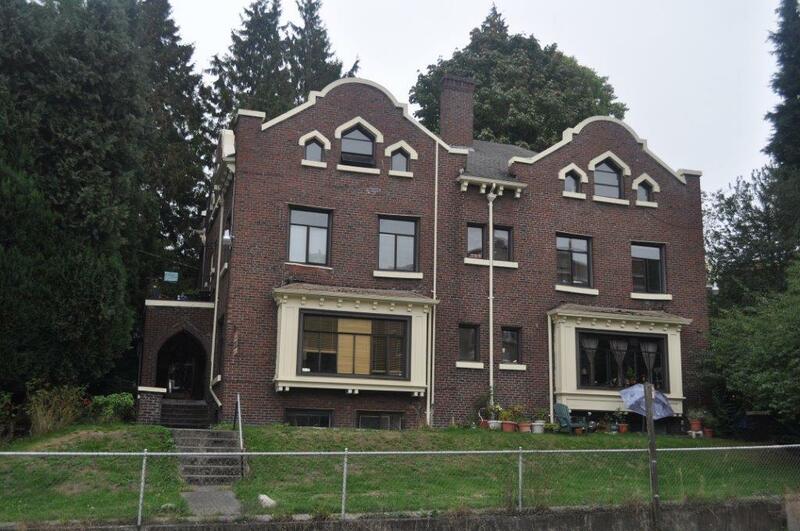 (2002) The Heather Arms apartments and neighboring Ravenna Parkside apartments at 5808-5812 15th Ave. NE, were originally constructed as single family residences in 1910 by N.B. Beck a local developer and resident of the University District. N.B. 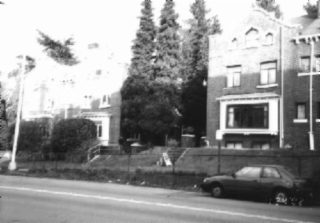 Beck lived in the large house immediately to the east of this site, at 5825 16th Ave NE. The architects Bressman and Dupree designed the residences in a Dutch inspired style. They were converted to apartments into 9 apartments each in 1926. These buildings are important for their distinctive Dutch-inspired style and the desirable location adjacent to Ravenna Park. The Ravenna Parkside is mostly intact and appears to meet National Register and Seattle Landmarks criteria; the Heather Arms may not be eligible due to the window replacement. 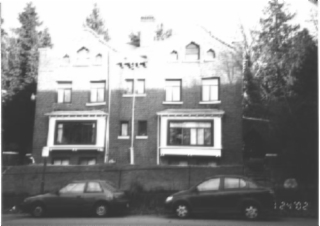 This property exhibits no substantive changes to the exterior appearance since it was identified in the 2002 HRI project. (2002) The Heather Arms and Ravenna Parkside apartment buildings are a pair of two and a half story Dutch-inspired brick structures. Each building is symmetrical, the first floor has two large multi-paned bay windows topped with multi-paned transoms on either side of two small multi-paned windows. On the second floor are two pairs of casement windows with transom detail on either side of two small multi-paned windows. On the half story are six peaked, two large, four small, multi-paned casement windows. Shaped gables with metal copings resemble Flemish gables and reflect the shape of the half story windows. While the Ravenna Parkside remains intact, the windows have all been replaced on the Heather Arms apartment. The concrete foundation was scored to give the appearance of block construction.